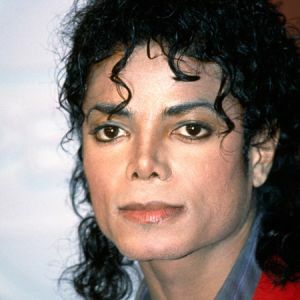 How could his loved ones elect to replace a pulpy mess with the mere fleshy simulacrum of a nose, when rhinoplastic alternatives are available that will not only replace but upgrade the usual functioning of the sense organ? I am all for speculative fiction. In fact, it was in part the imaginative meanderings stimulated by such fictions that led me to investigate the sense of smell in the first place, and mostly because its future is so unforeseeable. This 2013 collection, titled Bio-Punk: Stories from the Far Side of Research, even takes the extra step to have scientists and ethicists write forewords for each of the stories. But upon this particular idea, I must ask – How would we upgrade such an organ? How would we modify not the cosmetic aspect but the sensory function itself? Being that we do not fully understand the way the olfactory bulb converts aromatic molecules into meaningful electric signals, such an upgrade sounds nice, but the details of its operation are currently quite nebulous. The only thing I can think of is to replace the epithelium patch with a vastly larger and invaginated one, like that of a dog’s. But immediately, I recall the adage of sensory psychologist and smell expert Avery Gilbert: If humans still walked on all fours sniffing each other’s butts, then we wouldn’t find dogs to be such exceptional noses. And then, on second thought I ask – Is this even an improvement? The trajectory of human development seems to be one of losing our sense of smell, or at least not paying as much attention to it anymore. In that case, an upgrade would be the wrong word. “Liberation from the beastly reekings of your meatbody!” reads the sign outside the local body-mod shop. All this talk about artificial intelligence and robots taking our jobs? What about the lowly bacteria? It doesn’t sound as hi-tech as a car-building robot or a cashier-bot; in fact, it’s the opposite of hi-tech, isn’t it? These bacteria can do work previously limited to complicated industrial processes. The key thing here is replicating metabolic processes of plants to produce chemicals that are really hard to make artificially, or synthetically. What goes on inside a plant is sometimes magic to us (you know, the whole thing about light-into-energy aka photosynthesis), but this is an example where that magical process has been decrypted, and for commercial gain. Instead of taking (rare and expensive) chemical A and putting it through a bevy of chemical reactions where it until it turns into (even more rare and expensive) chemical B, these folks have figured out how to use a different starting chemical, a much cheaper and more ubiquitous chemical, and to turn it to the same desired end product, minus the complex, expensive and time-consuming industrial processes. What this means for the flavor and fragrance industry is that some ingredients which heretofore have been prohibitively expensive will now be way more accessible on the market. The MIT spinout has created a low-cost process for engineering microbes with complex metabolic pathways borrowed from plants, which can produce an array of rare and expensive ingredients used to manufacture noncaloric beverages, perfumes, toothpastes, detergents, pesticides, and even therapeutics, among other products. Manus' commercial fermentation process involves engineering microbes with plant metabolic pathways, and placing them into large-scale fermentors with inexpensive sugars to feed on. While fermenting, the microbes produce large amounts of the ingredients that can be extracted with commercial processes. Manus plans to scale up to commercial levels this year and sell the products to their industrial partners. 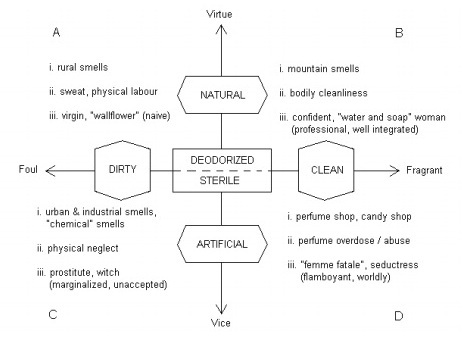 Figure 1 is a hypothetical and exemplary sketch of olfactory classification in contemporary Western societies. It represents a (fictitious) cosmology based on smell and morality, in which the 'fragrant' category corresponds with 'virtue', and 'foul' is paired with 'vice'. The examples in each quadrant are arbitrary; they relate to (i) the public dimension of smell, (ii) the body, and (iii) definitions of femininity, respectively. This diagram implies an opposition between 'clean' (B, D) and 'dirty' (A, C), as well as between the 'natural' (A, B) and 'artificial' (C, D) realm. Both axes represent social contrasts: what is dirty or clean, foul or fragrant is as much a reflection of moral values as the opposition between virtue and vice. Hence the differentiation between 'deodorized' and 'sterile' around the center of the diagram, the latter being defined as the 'artificial' counter to the former. Figure 1 may also serve as a comparative tool for collective representations and modes of cultural reproduction. 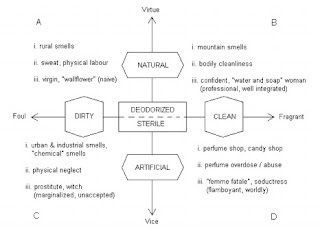 Not to compare the positions of fragrant concepts in the diagram, but rather to analyze the way in which they are related to eachother, and how these positions are produced. A problem that affects laymen and fragrance professionals alike is the nondiscursiveness of smell. 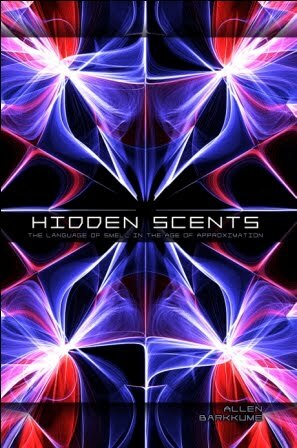 More than half a century ago, perfumer Edward Sagarin wrote about his profession as a "science in search of a language", pointing out that we fail to describe smell by means of exact terms (Sagarin, 1945: 137). Despite significant technological advance in the measurement of odors in recent decades, the creation of a common scientific nomenclature or universal classification remains problematic. Descriptions continue to be based on material analogies (fruity, floral, fatty, etc.) and on metaphors redolent of other senses ("green", "warm", "loud", etc.). In turn, these descriptors are intertwined with the specific cultural context in which they are produced. In a structuralist analysis of odors, one must therefore not overlook the contextual differences in which the nomenclature and classification were produced. Another problem of odor taxonomies, and one that complicates a comparative historical analysis, relates to continuing shifts in the role and meaning of smell through time. The term 'osmology' means 'study of odors'. It is also used by Classen (1994) as a word play on 'cosmology'. As a thing develops, be it an organism or a building, its path follows a similar pattern wherein the available options diminish with time until it reaches a locked-in phase. At this point, path dependence becomes most evident. 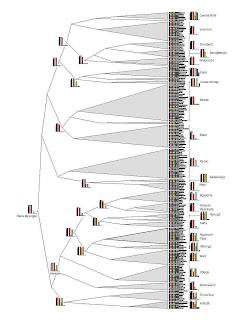 This issue of phylogenetic incongruence arises when one feature, such as olfaction, reaches its locked-in phase before another feature, like language. And so, it is this way with our sense of smell. Olfaction is the earliest sense to develop. Vertebrates are the first creatures to have an olfactory system. But this is confusing because we can say that plants smell too. Olfaction at its base is chemoreception, requiring only a chemical and a receptor for recognizing that chemical. To think of it, some early, old, simple organism could sense light levels and acoustic/mechanical vibrations, but we would not say they could see or hear. Vision in humans is much more than mere photoreception (isn’t it?). But olfaction is not so much. 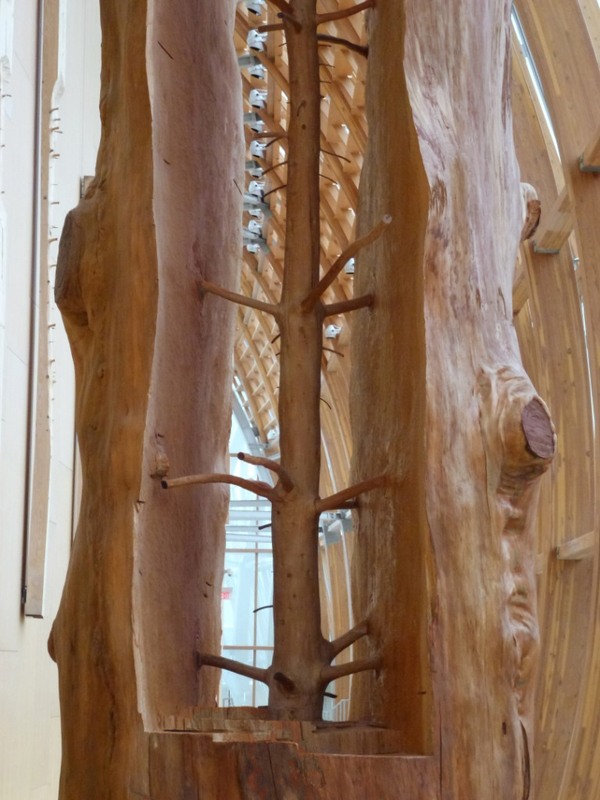 All this is to say that the ‘network architecture’ of our olfactory system is so old, so far back to the beginning, that although humans have evolved other parts of themselves as to deprioritize its use, its structure persists. This necessitates the kludge, the chimerical retrofit that is our olfactory-language system. To talk about smells, to generate an empirical, consensual recognition of olfactory experience – which requires language – is like trying to eat an electron. Sure you can say that’s what you’re doing, but is it really? 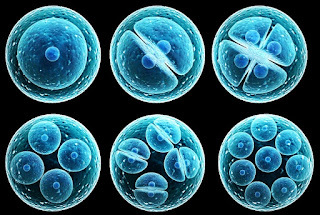 *The sequence of these developments are reflected in the ontological development, that is the development of an individual from gestation through maturity, and are so vividly illustrated in this chart by the master Ernst Haeckel. Just when you thought a role playing game fortified with immersive scent-explorations was 'out-there' as far as gaming goes, the creator of Adventure Scents have now come up with a new idea, even more multimodal than their last. 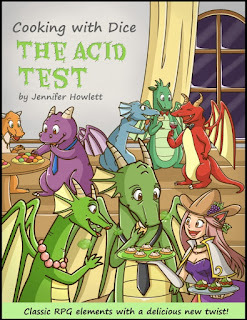 This time we're looking at Cooking with Dice: The Acid Test, a ‘classic RPG with a delicious twist,’ and in other words, a Gamified Cookbook. Your character tries to level up to the esteemed Chef de Cuisine by executing recipes concocted by a roll of the dice. What's interesting here is that the recipes don't use heat, but acid (like the chemical-reaction-acid, not the kind of acid that melts your face off). You make things like pickles, jam, ceviche, .... No fire-breathing dragons necessary. If this is anything like the last offer from Jennifer Howlett, Adventure Scents creator and game guru extraordinaire, Cooking with Dice is guaranteed to be an adventure of multisensory complexities. I can’t help but zero-in on the way this game is ultimately played, which is by fostering chemical reactions that turn raw ingredients into edible adventures. First of all, it’s genius for a kids’ cookbook – they get to “cook” and yet they don’t even have to play with fire. Next of all, it totally reminds me of The Art of Fermentation by Sandor Katz, which won the 2013 James Beard Foundation Book Award for Reference and Scholarship, which pretty much blew my mind when I read it. If you think you know what it means to be human and yet you haven’t read it, maybe you should. The idea of offloading the work of digestion to bacteria that exist outside our bodies, so that our bodies can do more important things – like thinking – is nuts. (It also helps to put in perspective the development of cooking and human digestion – where fermentation is the accelerating of a metabolic process via bacteria, cooking is the same but by fire. One is a kind of biological heat, and the other a more basic, chemical heat.) Anyway, fermentation is cool, and I think Jennifer Howlett is one smart cookie for coming up with this workaround for a kids’ (gamified) cookbook. Finally, the ‘acid test,’ as she calls it, is essential to understanding the world of smell, because smell is a bacterial thing, a microbial thing. You cannot smell chlorine, or ammonia, or sulfur (these are single chemicals and we can’t smell that kind of thing). What you smell are biological reactions involving these chemicals, and which have created through their reactions more complex organic molecules that we can smell. Metal does not smell; “the smell of metal” is bacteria that live on our hands and in our sweat, reacting with metal to create new compounds that smell “like metal.” Understanding acids and how they work is the foundation for chemistry, and this gamified cookbook is a synaesthetically satisfying way of getting to know chemistry and the smells that come from it. And while you’re at it, if you’re ever looking for that perfect ‘moldy dungeon’ smell or the smell of the breath of a fire-breathing dragon, check out Adventure Scents. There’s a certain kind of jellyfish that have brains way different from our own, and which diverged a long time ago on the tree of life. They diverged so long ago, in fact, that they can really be considered to have alien brains. I’ve been seeing this come up lately (both Nautilus and Quanta magazines). Maybe with computers, and specifically neural nets, looking more and more like the human brain. (And maybe with us finding all these exoplanets.) And certainly because these jellyfish use a decentralized neural net to do braining things. 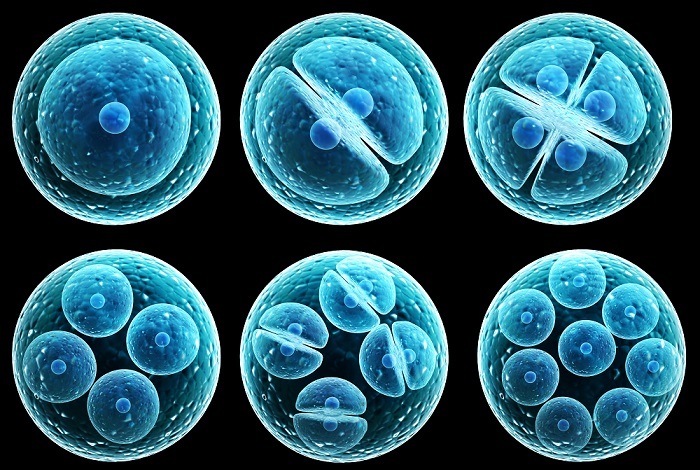 The Quanta article asks if neurons evolved twice. It makes you wonder what other ways brains can be made. Ctenophores (Comb Jellies) also resemble cnidarians in having a decentralized nerve net rather than a brain. Genomic studies have suggested that the neurons of Ctenophora, which differ in many ways from other animal neurons, evolved independently from those of the other animals. 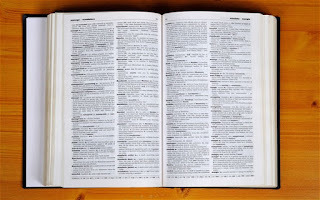 The universal online dictionary Kamusi has 1.2 million terms from several databases in its quest to translate all the meanings of every word in all the world's languages. 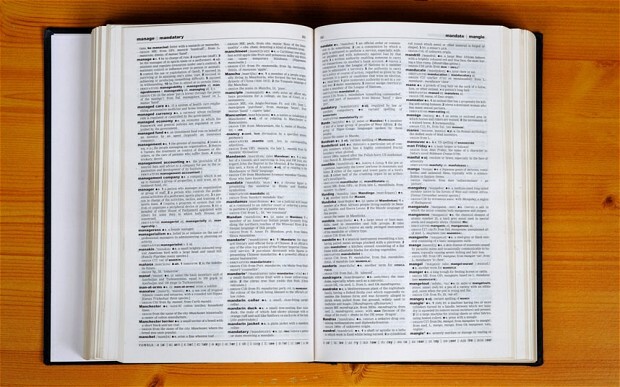 [...] More than a translator, this dictionary delves into the words so that two meanings of the same term can no longer be confused. The project was started in 1995 by anthropologist Martin Benjamin who could not find a good way to translate between English and Swahili. Kamusi is the Swahili word for dictionary, and has over one million terms in 20 languages. I have been an art teacher for ten years, and always took notice of what happened to the box of colored pencils in my classroom. In September, it had all the colors, and as the year went on, a distinct pattern would emerge. The red pencils were always the first to go, and by the end of the year, the only things left were brown, orange, yellow. It always made me wonder if we each had our own subjective color preferences, or if we were hardwired for some over others. So, I’m very excited to read this article on color evolution. This has been a recurring topic on Network Address, the companion blog to Limbic Signal. 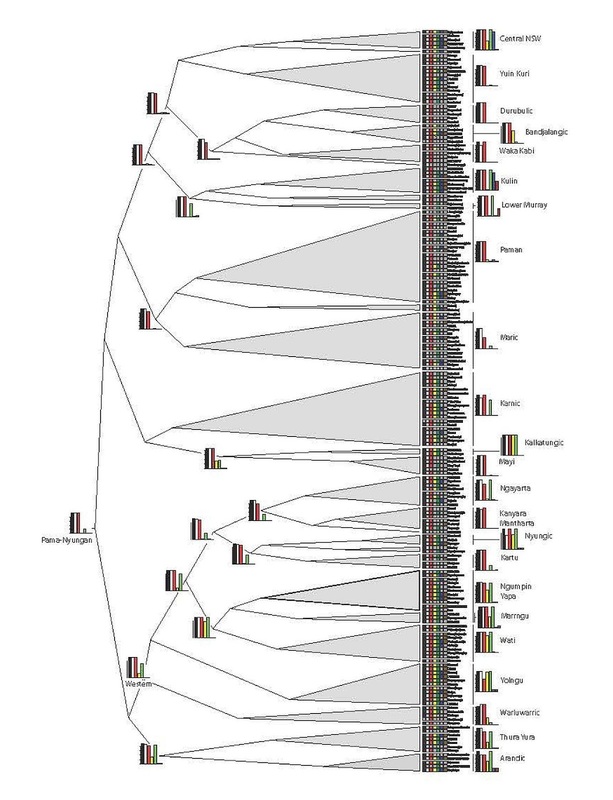 This work in particular looks at the way that color-names enter or drop-out of a language. In the image above, we see that everyone has names for the black and white, and red comes next. After that, green and yellow vie to be in our mouths. The authors explain that there tends to be names first for things that are maximally distinct. Hence black and white first. Why does red come next? There’s plenty of reasons, some simple, some confusing, but we know that in just about every culture, every situation, red comes next – or first, depending on whether you consider black and white as colors. "It's uncontroversial that language changes; it's also uncontroversial that languages aren't organisms. The point is that from Darwin on, language and biology have had a long history of cross-pollination and co-inspiration." This is one of the most beautiful discoveries I came across in working on Hidden Scents, which is that the very concept of evolution, of natural selection, developed by Darwin, was based on the taxonomy of languages across the world. Language may not be alive, but our cultures are, and for some of us, we can say that by extension the products of those cultures are also alive. Regardless, it is hard to deny the influence that such potentially ‘inorganic entities’ have on our concepts of all things organic. In other words, we assigned what we now know as the process of biological evolution to language before we understood it regarding living organisms. There aren't many who share with me The Language of Smell search results. Zoologist Robert Burton wrote a book mostly about insect olfaction back in the 70’s. But the owner of the majority of the search-result volume goes to Dr. Asifa Majid and her work on the language of olfaction. She studies people native to the lands of the Bay of Bengal. These people are very different from the post-industrial person in many ways, the most salient of which, for Majid at least, is in their “olfactory vocabulary”. Unlike the post-industrial citizen, these people have a rich lexicon by which they can identify the odorous information surrounding them. Via Majid, these peoples are also the quintessential rebuttal to the argument that there is no such thing as a “language of smell”. And I couldn't be more disheartened every time I hear it. I write here in the utmost respect for Dr. Majid, her work, and the people she studies. She is, after all, the only person known to be pursuing this distinct line of inquiry with such precision, so her contributions are much appreciated. I will not go so far to say that we are wrong in saying that these people are living proof of a working language for olfactive experience, only that the devil is in the details. So let us begin this exercise of relative measurement; I'll cut to the easiest point. 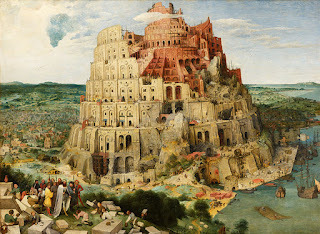 The people in question do not use language in the same way as the scientists studying with them, and so the very word “language” must be clearly defined. Here’s a reminder: in conducting linguistic studies upon many indigenous people, the first thing the intrepid scientist must do is to explain what a word is. That's right, the very concept of the sentence as constructed of simpler words is very unfamiliar if not unknown to certain cultures, and must be painstakingly explained before any “studying” can take place. I ask the reader – if the Sigma Aldrich chemical catalog for flavors and fragrance ingredients describes 1000 molecules using 3000 descriptors all of which occur as single words, and yet the group of people in question do not even have words, how can we begin to make comparisons between their olfactory lexicon and that of a common Westerner? The rich olfactory vocabulary of Majid’s study groups, is it not an indication of the direct reliance upon their physical environment? Instead of it proving that there can be such a thing as a ‘language of smell’, does it not further support that the two – olfaction and language – are mutually exclusive? I believe this is a case of apples and oranges, but because the subject matter straddle disciplines (psychology, linguistics, sensory studies) it evades such critical analysis.